Written by Dezza, 14 June 2017. 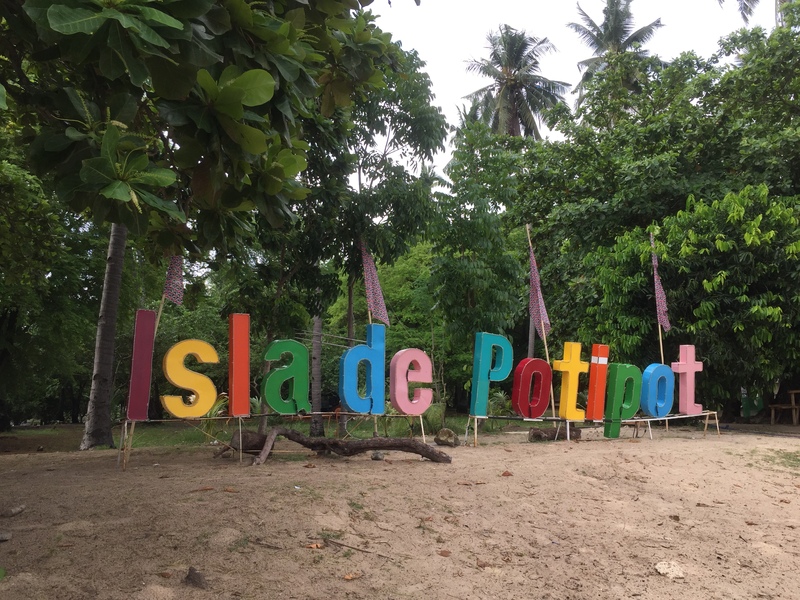 I first went to the golden sand beaches of Potipot Island in December of 2016. I went with a small group of friends, and we had a fantastic time. There is no doubt that one of the best beaches near Manila and one of the best Philippines destinations. You can check more out with this video I made. Just last week, June 2017, I had a friend visiting the Philippines for his third time. Previously, I have taken him to various places in and around Manila including Maya Maya, Punta Fuego and Bay City. This time, I decided to take him on a road trip up north to Potipot Island, Subic Bay, and Clark, in the Central Luzon Region. I wanted him to see some of the best beaches near Manila. 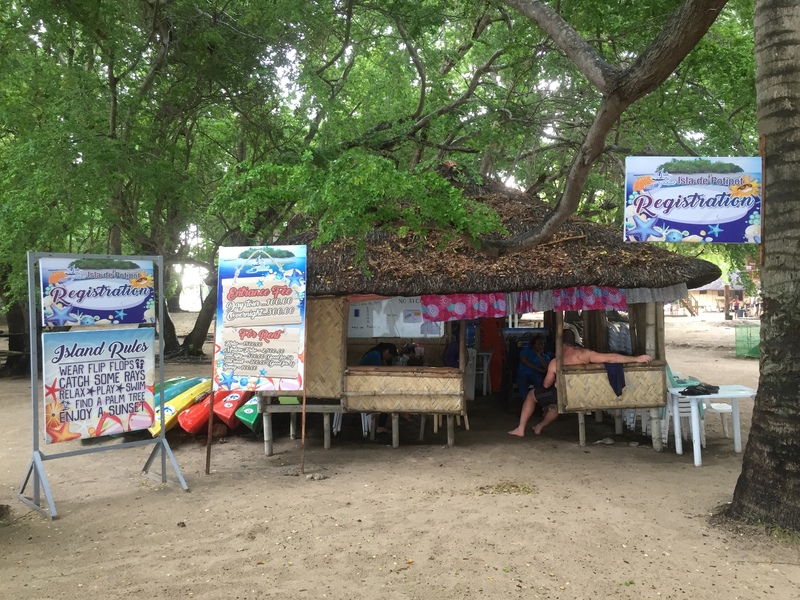 Potipot Island, in Zambales province, is a good 5-hour drive from Manila. Luckily, we were in no rush or else this could be considered a little too far. With my mates love of adventure and new scenery, we had a relaxing and enjoyable drive. 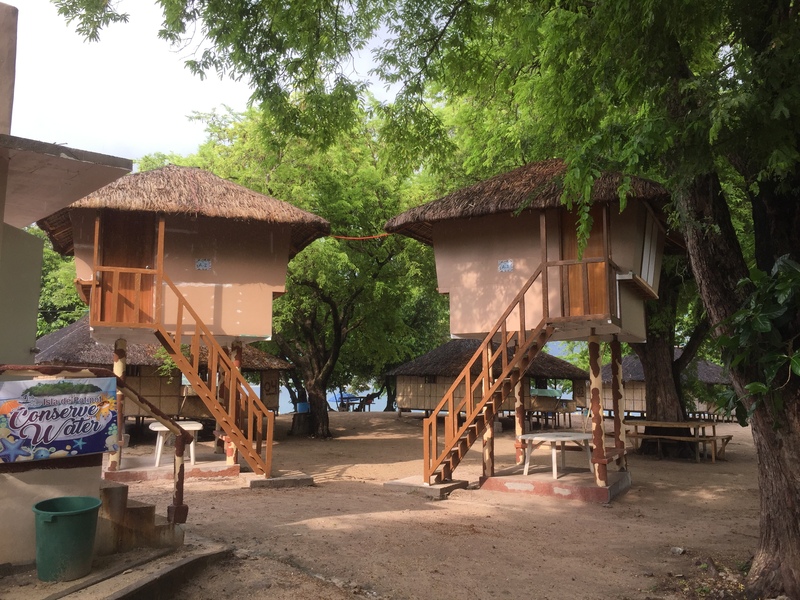 We stayed at Potipot Gateway Resort which is a more than serviceable resort right on the beach. From there, it’s and a mere 7-minute boat road to Potipot Island itself. Like most resorts in the Philippines, the service was pretty average. However, the food was ok, the room was good and the staff were friendly enough. As we are well into the wet season (May to November is the wet season), I was concerned that rain may have an impact on our activities. During our drive up, the weather wasn’t too bad and luckily didn’t rain. But as luck would have it, just as we hit the resort, down it came. It wasn’t a major concern as we conveniently arrived around lunchtime. We figured we would have lunch first and then see what the weather would do from there. Luckily for us, the rain only lasted about half an hour so we made our break for Potipot Island while the going was good. As we got off the boat, the sun started to break through and the skies were clearing, so it was shaping up to be a great afternoon to relax at the beach and have a swim. Approaching the island with the sun starting to poke its head through the clouds. As we approached, we could see the golden sand beaches glowing in the sunshine. This really is a spectacular sight and immediately gets the blood pumping. 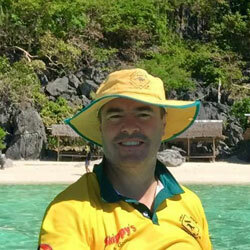 However, as we got off the boat, I noticed some changes to the island compared to my last trip only 6 months earlier. All of a sudden, there were more permanent looking structures there. This included a big welcome sign and a more formal looking registration area! The new “welcome sign” was a new addition to the island. Although not too much of an eye sore, it was obvious the island is gearing up for more tourism. The new registration area that greets you as you get off the boat. The biggest concern for me was reading that alcohol is now prohibited on the island – WTF??? Some of the construction taking place next to the registration area. This looks like it may be some sort of canteen or restaurant. As we made our way across the island, it was obvious there were more new structures. We could also see that there were others that were in the making. It was at this point that I started to wonder what was becoming of this little slice of heaven. 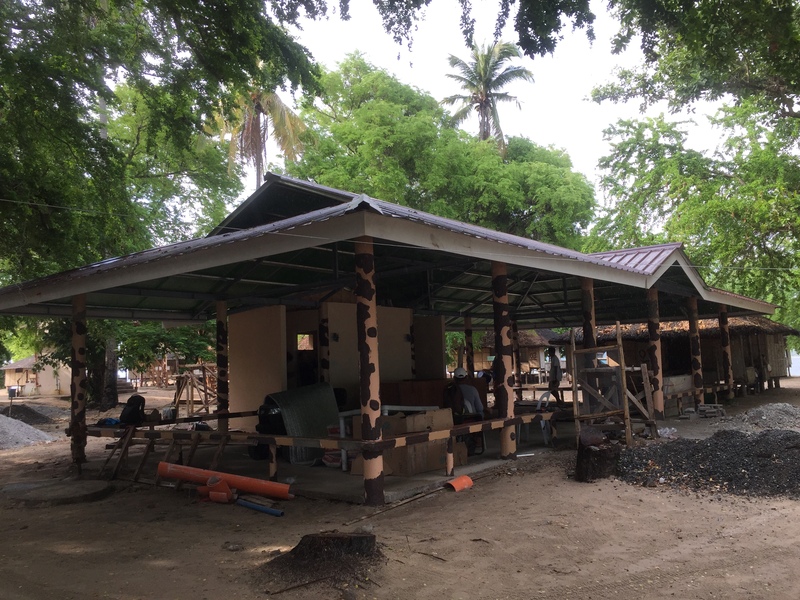 The island used to be totally uninhabited with only campers scattered around, and with only a few basic Nipa Bungalows set up for overnight accommodation. This was now becoming more commercialised! 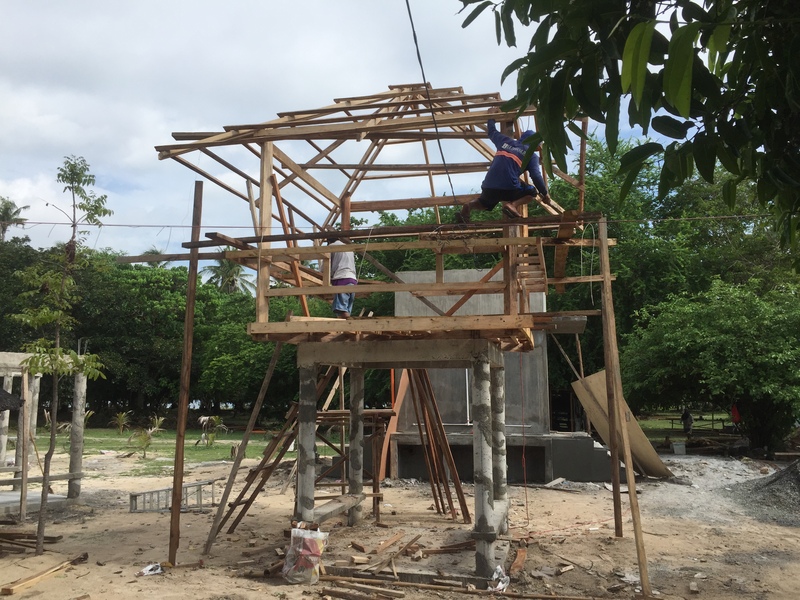 Since February 2017, in the centre of the island, there have been five of these elevated bungalows constructed. They consist of one big open room with only an electric fan and can accommodate up to 4-6 people. There are a communal shower and toilet block among them (you can just see the toilet block to the left of pic). More bungalows being constructed on this once desolate island. After completing the obligatory walk around the island, which takes about half an hour at a casual strolling space, it was time to ask some questions at the registration area. 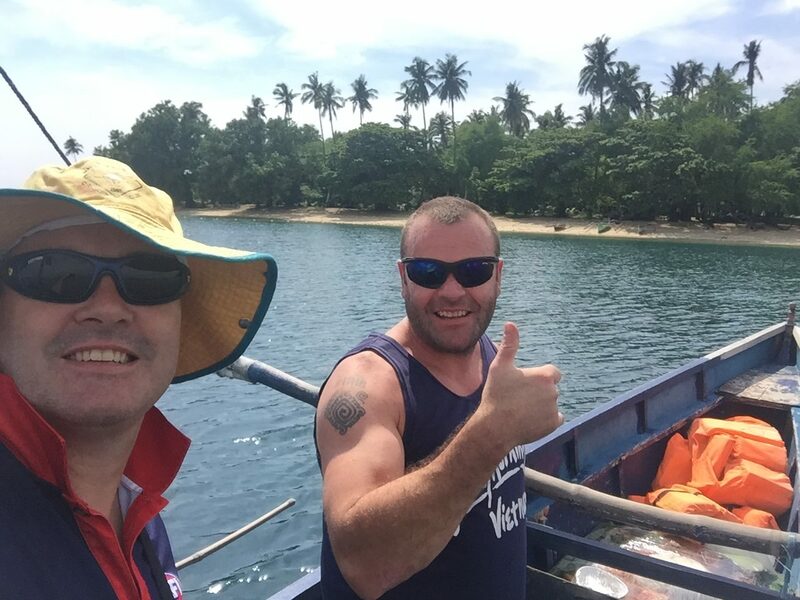 We wanted to find out what the plans were for one of the best beaches near Manila. In typical Pinoy fashion, it was hard to get any real clear information. All we could gather was the island has been under new management since January 2017, and that further construction is planned. As for the prohibition of alcohol – it is being strictly enforced. Yikes! One of the best things after a deluge of rain is the sunsets. 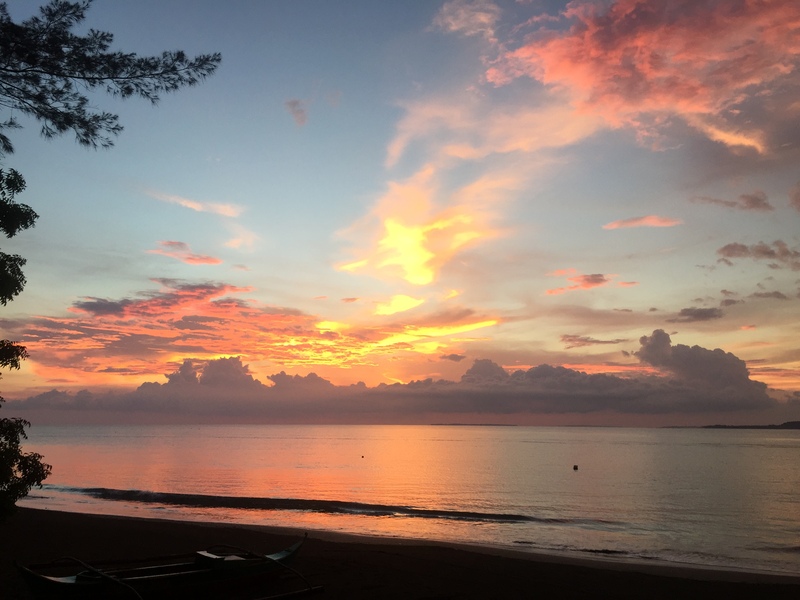 Although this photo wasn’t taken from Potipot Island itself, it was an epic spectacle as the sun painted the sky. So all in all, there were a few positives to come out of these changes. This includes the island being maintained on a more regular basis, which will make it more attractive to visitors, and that there are more controls on visitors. This will ensure that the golden sand beaches, and the environment, continues to be respected. Hopefully, it will remain one of the best beaches near Manila and one the best places in the Philippines. Interesting times ahead for this little slice of paradise. Entrance Fee to Island: P100/head for day trip, P300/head for overnight camping. They also have a fairly large kubo (hut) which can accommodate about 20 for the price of P1500 which is an overnight rate. With some bartering, you can get this down to P1,000. The accommodation options are improving as noted in the article. They also sell beer and snacks on the island at reasonable prices. However, to be sure, we took our own food and drinks and had a nice picnic lunch on the beach. From Makati to Sinabacan area is a 285kms drive in a car via Subic, and takes about 5 and a half hours. You can take a Victory Liner bus from either Pasay or Cubao terminal bound for Iba, Zambales or Sta. Cruz Zambales. The cost of this is less than P400 one way and should take less than 6 hours. Then depending on where you are staying, you can take a tricycle to the resorts in the Sinabacan area. Cost for tricycle will be less than P50.